Hamilton Parade III - Balloon Promoters Ltd. Balloons always add fun and colour to any parade! They can be show casing your product or it could be a mascot, logo or simply a fun character to make people smile! 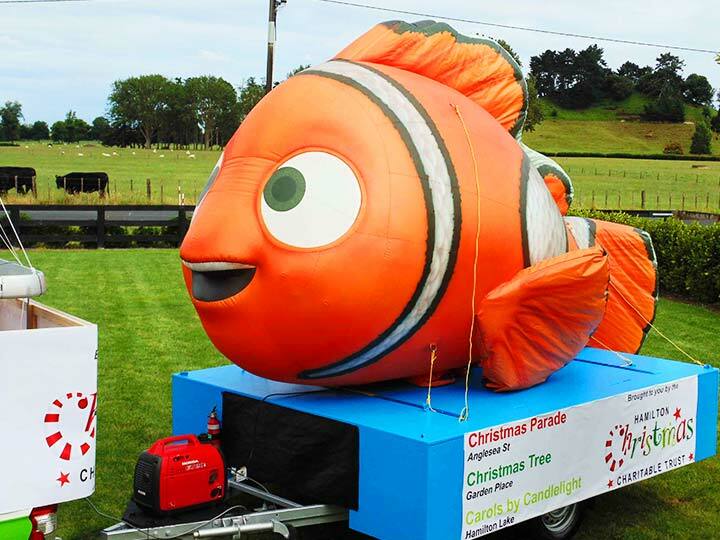 Used in Christmas Parades, St Patricks, Red Nose Day, Rugby World Cup parade, America’s Cup, Blossom Festival! You are never too old to appreciate the impact a giant balloon can create!!! Hire a balloon or we can create your project as a giant inflatable – nothing is too crazy for us to consider!! We can organize everything from start to finish for your parade balloon or supply you with the balloon that will help create that extra impact on the day!